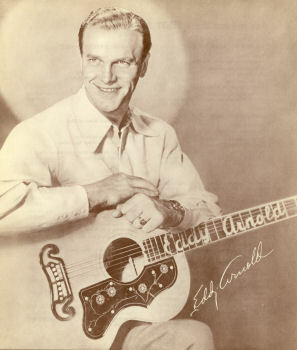 Eddy Arnold was among my earliesr singing idols and my favorite Arnold song was CATTLE CALL! Grandma liked him and I'd like to play the pictured SJ-200 ! He bridged generations. My mother and I were both huge fans of his. Was still recording in the early 2000's. He was known for popularizing what was known as "Countrypolitan" music as he was one of the first Country artists to add strings to his work.